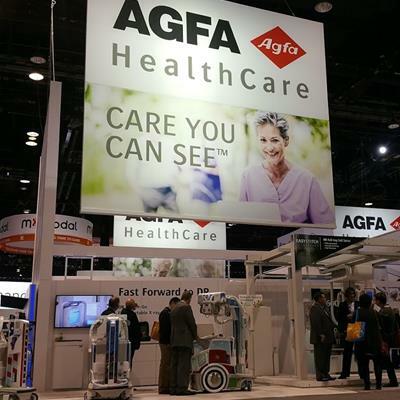 Agfa HealthCare said it will introduce a new version of its Musica workstation at the 2018 RSNA meeting in Chicago. The Musica workstation also features Agfa's traditional Musica image processing software for Agfa CR and DR systems. In addition, it meets international standard exposure index measurements and also supports the Integrating the Healthcare Enterprise (IHE) Radiation Exposure Monitoring profile, the company said. This allows the software to send structured dose reports directly to a PACS or to dose-monitoring software. In addition, the workstation can be connected to the RIS and PACS, enabling many tasks to be automated, according to Agfa. Agfa-Gevaert has responded with a "thanks, but no thanks" to an unsolicited offer from Kanteron Systems this week to purchase the Belgium-based company. Healthcare IT-biomedical informatics firm Kanteron Systems has made a nonbinding proposal to acquire all of Agfa-Gevaert, the parent company of Agfa HealthCare. Agfa HealthCare has implemented its Enterprise Imaging PACS software at Greenville Health System, based in Greenville, SC. Agfa HealthCare has completed an installation of its Enterprise Imaging software at Methodist Healthcare System of San Antonio. Agfa HealthCare has won a contract with a Maryland orthopedic center for two of its DX-D 300 compact U-arm digital radiography systems.